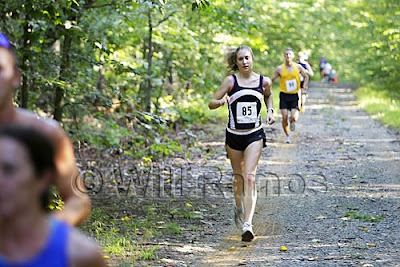 Congrats go out to Jennifer Tetric May who on Sunday took 2nd place in the women's division in the EX2 Off Road Half-Marathon in Maryland and took 14th place overall. The course was apparently so bad the race directors shortened it; too many felled trees and washed out trails. Overall results can be found here. Congratulations, Jen! Sounds like a tough race. Hey Jen. thats a great run on a hard course. I did that same race a few years ago in Prince William forest. It was also a slop fest. I remember getting there late and then, in a mad effort to make up lost time, trashing myself. By the end I was all mud and scrapes and such. A heart congrats goes out to Jen! Sounds like a toughie.